Put the power of chia seeds, acai berries and cacao nibs in one drink for a nutritious start to your year. All three ingredients are known for their antioxidant punch and together they make a delicious and nutritious smoothie. Smoothies are my family's favorite form of fast food. My current favorite features acai berry puree, cacao nibs and chia seeds for a powerful punch of antioxidants, protein and fiber. Stock your freezer, refrigerator and pantry with a few healthy staples and you'll always have a quick meal on the go that will keep you feeling great for hours. 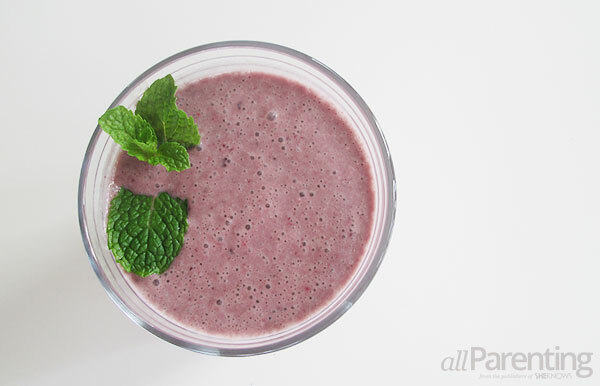 This smoothie is easy to mix and match your favorite flavors and your cravings. Feel free to add, omit or adjust amounts of any ingredients to your taste. You really can't go wrong. Toss all the ingredients in a high-speed blender and mix until smooth. The cacao nibs will remain mostly intact. They add a great crunch and provide a nice flavor contrast to the sweet fruit flavors. The acai puree pairs easily with most berries and I find just a little banana goes a long way in adding a creamy texture. The result is a drink that has a great source of fiber, healthy fat and antioxidants. I love it before a workout or as a mid-afternoon snack. The acai berry puree packs a sweet taste with loads of antioxidants, and the cacao nibs boast antioxidants, a great source of magnesium and fiber. Chia seeds offer almost no flavor, but provide additional fiber, protein and omega-3s. This team of goodies is the easiest base to your favorite smoothie recipe. Add nut butters and milks to up the protein punch, coconut milk for some healthy fat and a dash of cinnamon for a touch of spice.